670 COLOURlovers viewed this page and think ycc2106 is simply amazing. 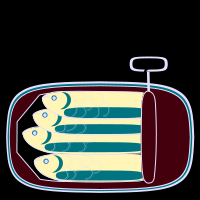 I like the pattern and coincidentally, i do love sardines...hmmm.. I feel very flattered that you made me a pattern. :) I love it! Credit must be given to ycc2106 & incal.